Darfur–Will liberal Jews ever learn? People are dying in Darfur. While the Washington Post is firmly entrenched as the ugly kid sister of the Jayson Blair Times, the Los Angeles Times has decided that it is now qualified to be the retarded family cousin that nobody talks about. Michael Moore, aka the Jayson Blair Times of the movie industry, is once again being forced to backtrack from his newest movie. “Sicko,” an indictment of the U.S. health care industry, is a Fidel Castro lovefest for the 12 to 14 people who truly do get top notch health care in Cuba. Given that Michael Moore is second only to NBC News in his love and enthusiasm for fake and doctored footage, it is no surprise that he faces the same accusations again. Atlanta Falcons quarterback Michael Vick has been indicted on federal charges of dogfighting and conspiracy. It is my hope that while this case is attracting passion from many people, that those same people will take deep breaths, step back, and let the process work itself out. 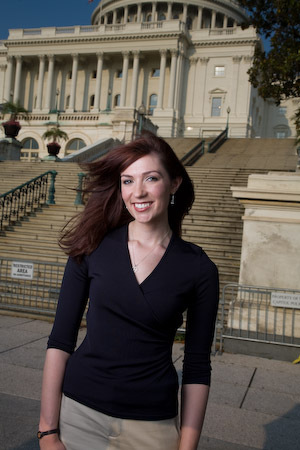 I had the pleasure of interviewing political reporter Amanda Carpenter of Townhall recently. past discussing nothing. It was the Seinfeld debate. It was my pleasure this weekend to interview politically conservative satirist Evan Sayet. On July 22nd, 2007, my Grandfather would have turned 102. He died in 2002, just shy of turning 97. He was an Orthodox Rabbi, a husband of 67 years, a father to two children, a grandfather of five, and a New York Mets fan. I cannot recall the Mets ever losing on his birthday. Sometimes the games would run 14 to 16 innings, and end after midnight, so it did not count as a birthday loss.